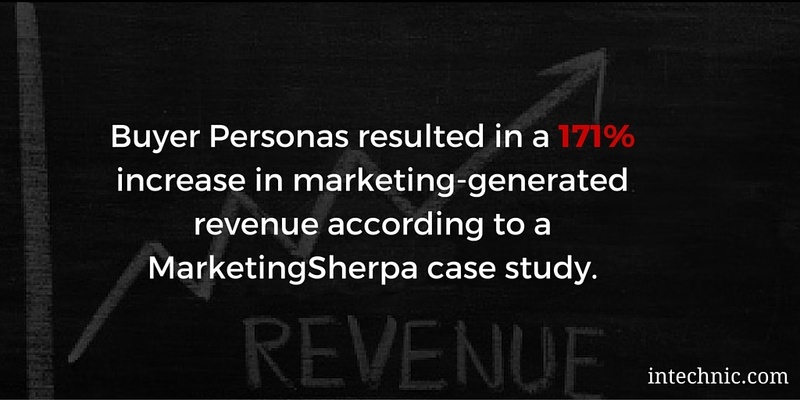 Continued from: What Are Buyer Personas and Why They Are Important to Your Website It’s every marketer’s worst nightmare. You redesign the website, it looks great and everyone loves it—yet six months later you realize it’s not performing any better than the old website. So, what happened? One of the costliest, yet most common mistakes is designing a website that is based on what company management thinks their customers want vs. what they actually want. Your management team will be pleased, but the consequences of designing a website just to please your boss are dire and sure to result in a poor performing website. Remember, you should design your website for your customers and not for yourself or for your boss. Buyer personas are fictional character representations of your best customers. They share all of the distinct characteristics of your best customers, including demographics, psychographics, pain points, needs, capabilities, wants and irritants. 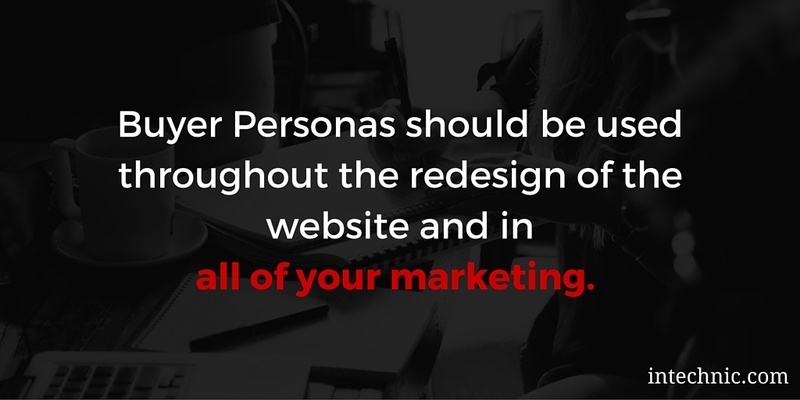 Personas should be used throughout the redesign of the website and in all of your marketing. Think of buyer personas as prescription glasses for your marketing. They improve your vision and let you see things clearly. 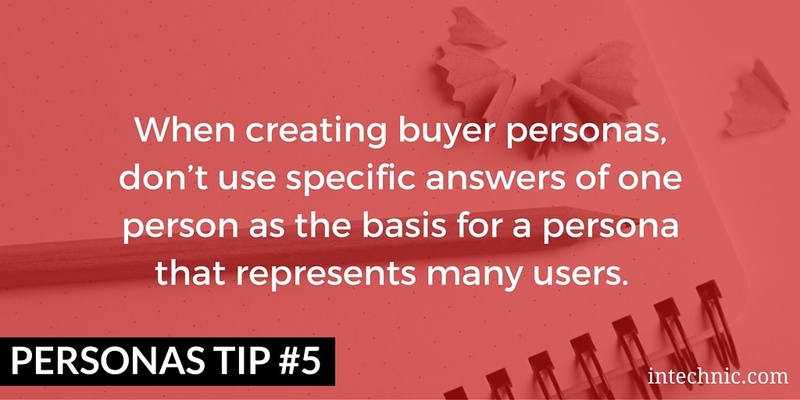 Using buyer personas is a great way to make objective decisions that lead to designing a user-centric website. They ensure that your message resonates with your customers, speaks to them in their language, empathizes with their pain points, helps them find solutions and guides them throughout their customer journey. 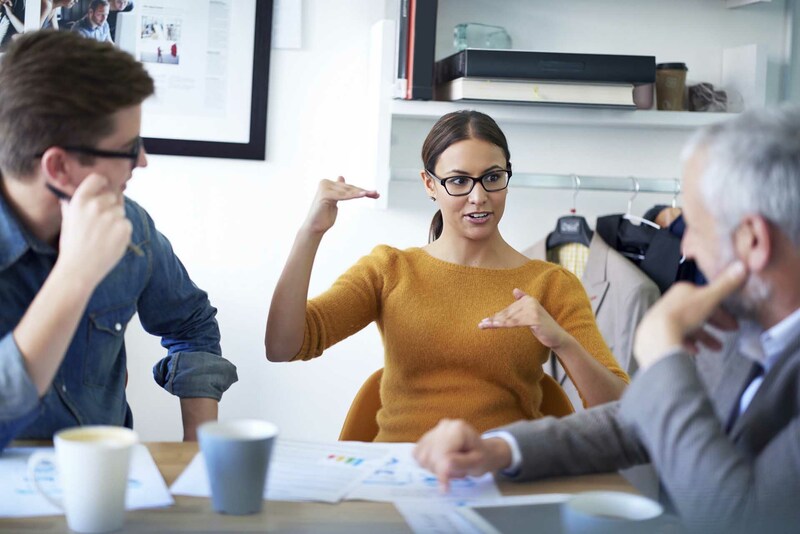 If you do not have buyer personas that have been defined, documented, distributed among your team and discussed, every team member will be making important decisions based on their assumptions about your customers. 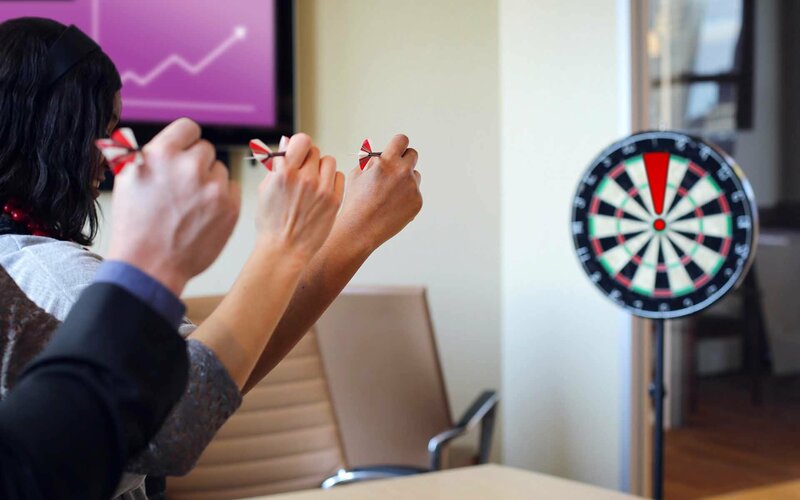 Marketing and sales will not be aligned in their strategy and execution and as a result, they will be shooting in the dark, casting a wide net and hoping that something sticks. If you are still not convinced you need personas, read all about the benefits of creating buyer personas. Why Must Personas Be Documented? 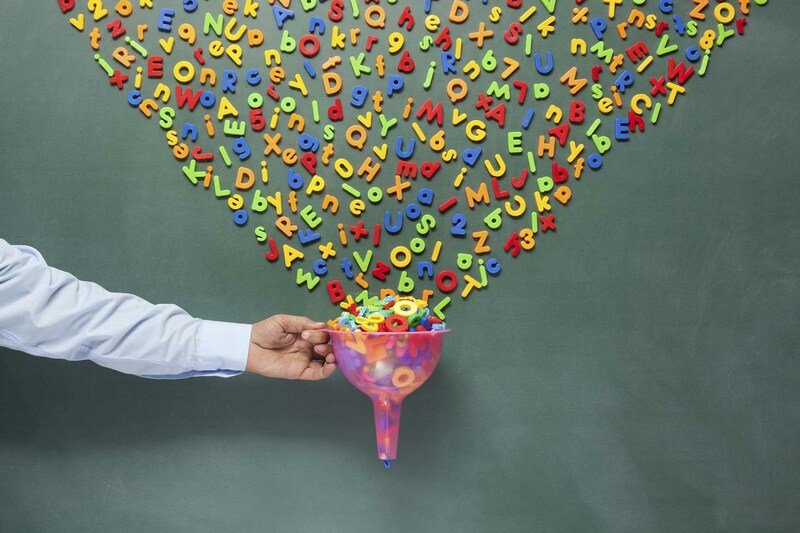 If your buyer personas are not written down, they do not exist. Don’t assume everyone in your organization truly understands your customers or is capable of accurately retaining this information. Developing, documenting and distributing personas throughout your entire organization ensures everyone is on the same page and all aspects of your marketing are executed with the same strategy. 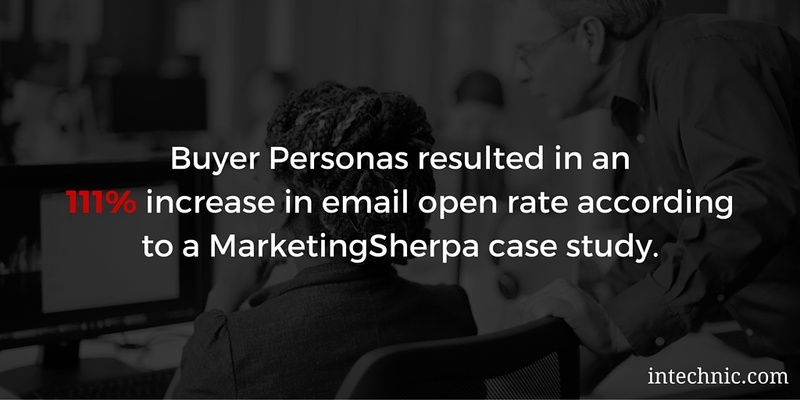 Creating buyer personas also reveals any gaps you may have missed in your strategy. Documenting personas is a rewarding exercise that shows your team how your customers think, how they act and ultimately how they make purchasing decisions. Your team is likely to learn many new things about your customers and apply this new information on a daily basis. Here at Intechnic, we keep buyer personas handy throughout each project and use them as points of reference all the time. Who Should You Create Personas For? At Intechnic, we call our best customers HVCs, or High Value Customers. 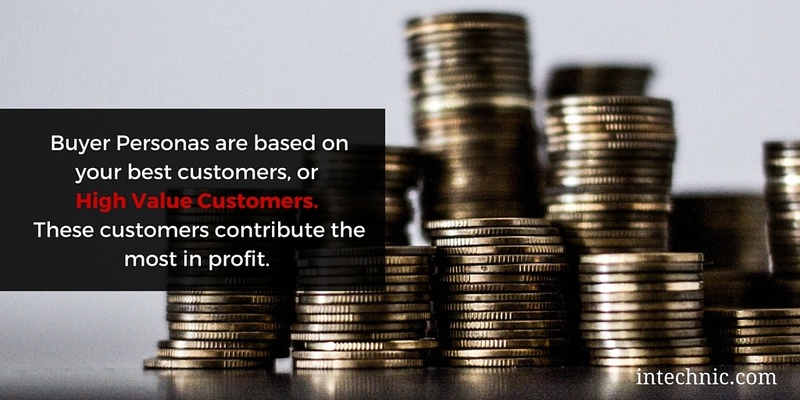 These are the most profitable, most loyal customers with a small attrition rate, low acquisition cost and a very high lifetime value. These are the customers you want to attract. 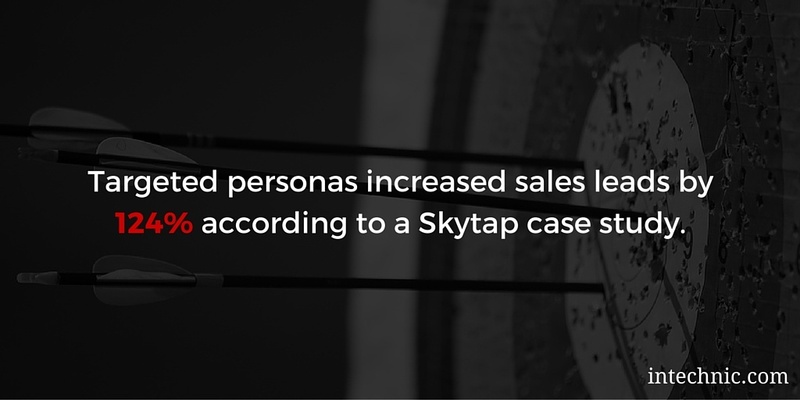 These personas typically make the final purchasing decision. They sometimes rely on feedback / input provided by others (influencers). They often have control over money and budgets. Securing their confidence is a must. You need to know how the decision maker makes his/her decision by understanding their decision process and their selection criteria. This is how you will learn how to get the decision maker to make the decision in your favor. These personas typically don't have the power of making decisions. 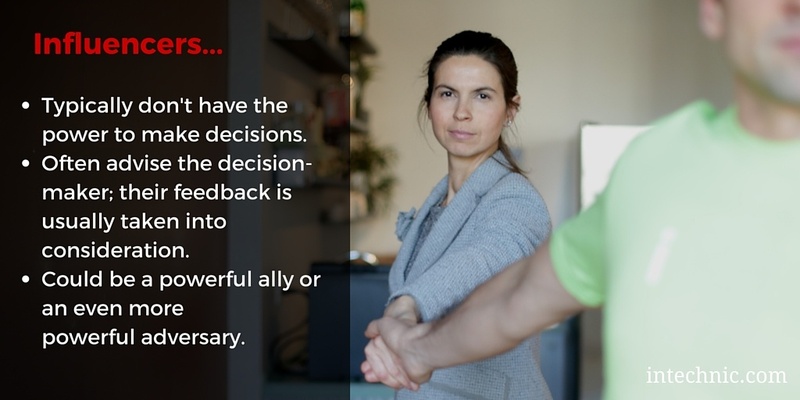 Their feedback is often taken into consideration by the decision maker. Influencers are like advisers to decision-makers. They could be a powerful ally or an even more powerful adversary. Winning the influencer’s vote will get you closer to winning the decision-maker’s vote. Will your website also be a recruiting tool designed to attract prospective employees? 1. Who are your prospective employees? You can then use this information to create an effective ‘Careers’ page and market incentives/benefits to join your company. 3. What's important to them? This information can be used to produce content that your competitors will find useful and will be willing to distribute on social media, trade publications and among their peers. 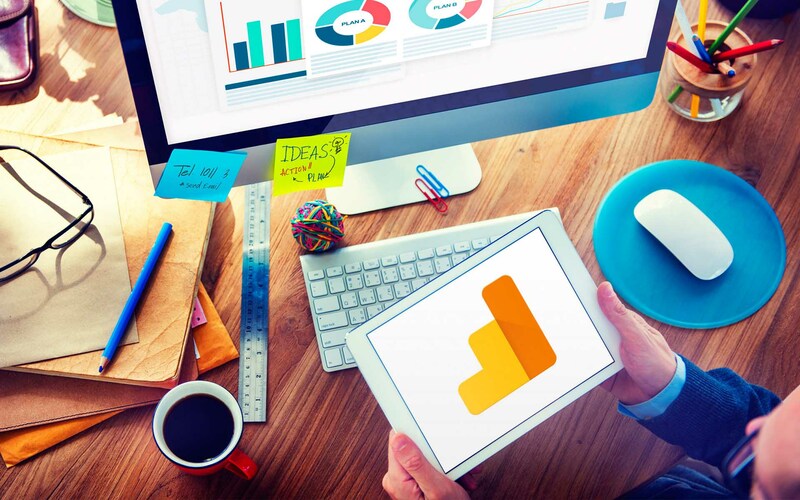 Market research might sound intimidating but it doesn't have to be. There are many methods of doing it: online intelligence, customer surveys, focus groups, and third party interviews. 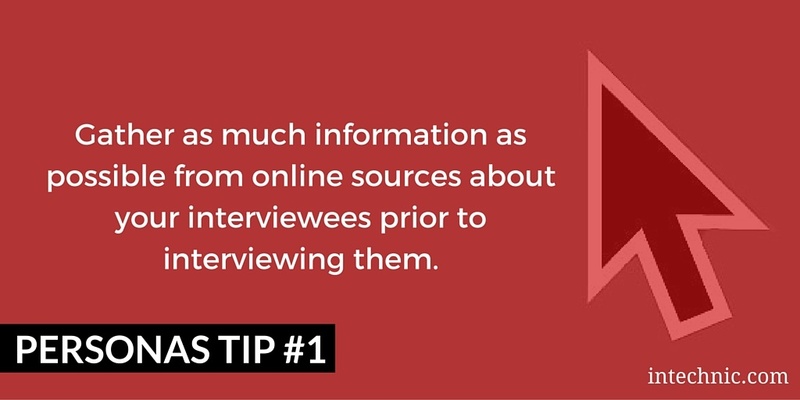 One type of research that should be done prior to interviews is gathering as much information as you can about the customers you are going to interview as possible. This will help you cut down the time of the interview and will remove the need to ask awkward questions like gender, income, age, etc. You can determine (or estimate) most of the customer's demographic information by doing online research on websites like LinkedIn.com. Most of the time LinkedIn.com can help you find out demographic information such as age range, gender, employment status, position title, responsibilities within that position, education level and the customer’s location. You can also get information such as income range from a website like Glassdoor.com by searching the persona’s position title and location. In order to get better insight into your customers, consider interviewing third parties within your organizations who interact with your customers: sales, account executives, customer support, etc. 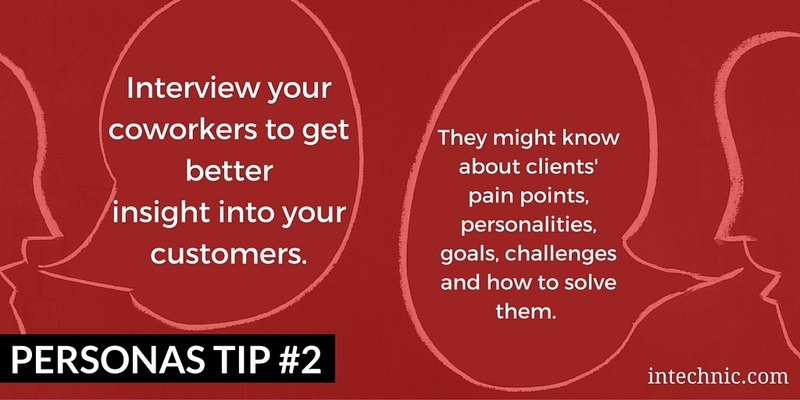 Those people will know a great deal about your customers: their pain points, personalities, goals, challenges and how they go about solving them. It is a great way to validate your customer interview findings as well as to get another perspective. 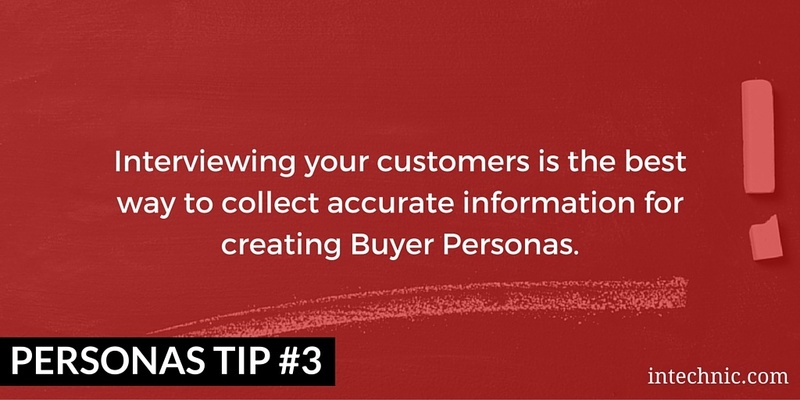 Interviewing your customers is the best way to collect accurate information for creating buyer personas. 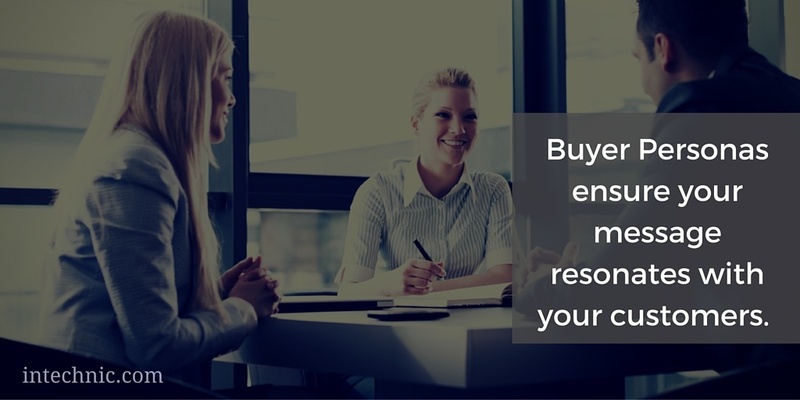 There is no more reliable method of doing that than going to the source-- your customers. Please read our article on customer interviews for the logistics of how to conduct the interviews, which questions to ask and how to capture and process the information collected. 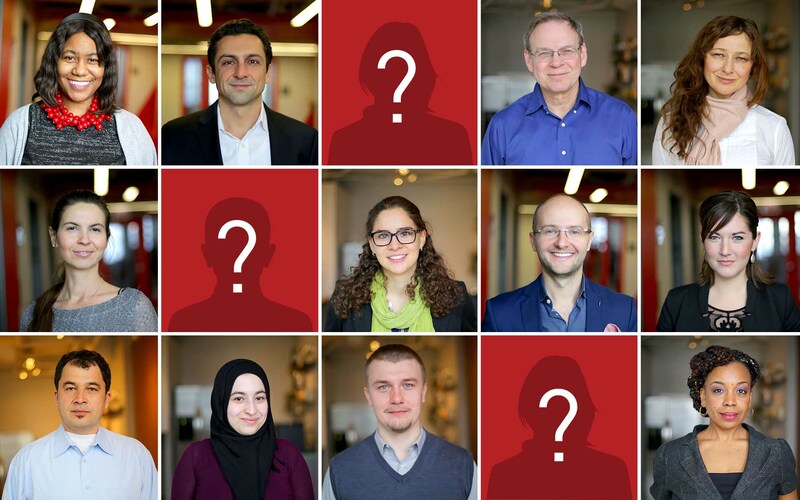 To help you create personas, we have included a template that we use here at Intechnic. This template gives you all the information you need to collect from interviews and market research as well as includes a few helpful B2B and B2C examples. As you were interviewing your customers and conducting market research, you should have filled out the Customer Interview Questions Template. Going from an interview findings worksheet to finalizing user personas requires recognizing and extrapolating important information that is common in your findings. Each question should have been asked to 3-5 different interviewees. Read over the answers within each column in the interview findings worksheet and define commonalities within each answer. Write up the commonalities you’ve found in the labels provided in the empty examples within the personas template. You are now creating a user persona. Pain Points – what were some of the common problems? How did customers become aware? Research - how did customers go about researching and evaluating solutions? Decision making – how did they go about making their decisions? Do have a name and picture for each persona. It will help everyone relate to them. Do find commonalities, patterns or similarities from your findings and use those to group answers in silos. Do create a separate persona for each buyer role and customer group that have different needs and different ways of going through the decision making process. Do mention other influencers or other decision makers if they were involved. 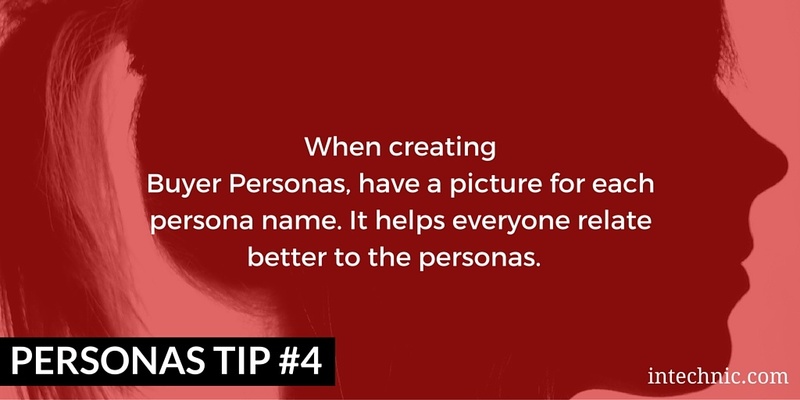 Make sure to create personas for them. Do beware of outliers. These could be exceptions that may not apply to the rest of the group and might render your personas inaccurate. Do reference other personas (influencers or decision makers) by their name and role. Do use clear and unambiguous language. Avoid making any ambiguities. Don’t pull things out of thin air that are not grounded in fact! You want to include only factual information you actually collected. Don’t include contradictory information. Analyze it to see if it is an exception or warrants creating a separate persona. Don’t use the specific answers of one person as the basis for a persona that represents many users. Don’t copy and paste! You should be interpreting the responses and inferring the ideas behind them. The following table will help you map your findings with persona fields in our buyer persona template. This is the person’s job title. This is where the person lives. You don’t necessarily have to know the person’s exact age. An age range works as well. How much do they make (salary range)? This is the need or the target of the user: what problem are they trying to solve? This is the reason the user is seeking a solution. It is their problem or need. This is when and how the user realizes or understands that they have a problem that needs fixing: what triggers it? This is a list of prioritized criteria the customer is going to use to select a solution; i.e. what is important to them? This is the process the customer uses to look for a solution. It is a step by step replay of how the user went about finding a solution to their problem. If researching online, make sure to include keywords they used to search. These are the results the user received after going through the research process; what did they find? How did they find it? Were the findings helpful? These are the hiccups or obstacles the user ran into when researching the solution. It could be a lack of or surplus of information, disorganized or unclear information, etc. You want to look for opportunities where this process could be improved. This is where you mention if there is another person influencing the purchase decision of the decision maker: Who are they? How did they influence? This is where you break down the thought process behind the choice made. 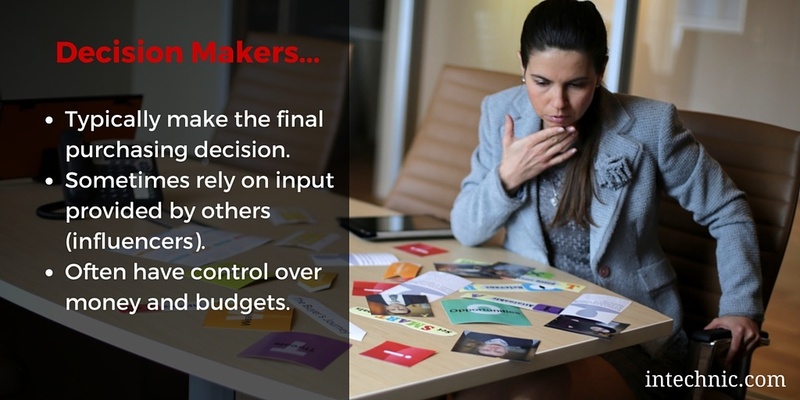 Why did the decision maker go with a specific solution? How did they arrive at that decision? What happened as a result of the solution? Was the customer ultimately happy with their choice? Why or why not? Would they recommend it to others? If so, which keywords would they use? 1. Did we cover everything? Is there anything missing? 2. Is there anything that doesn’t seem right? 3. Are there any persona types of buyer roles we are missing? 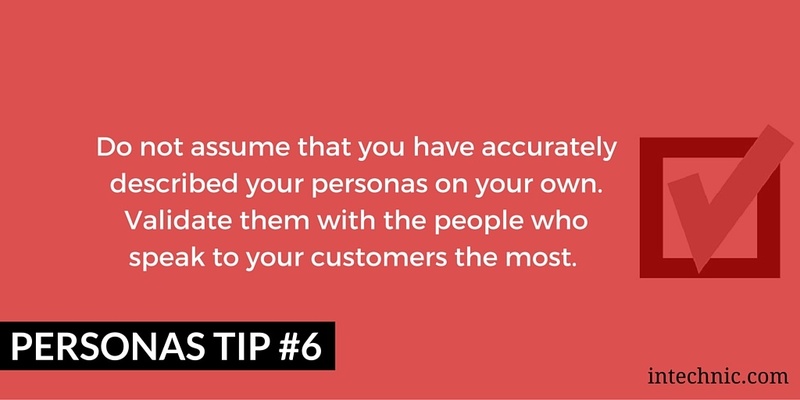 If mistakes are found, you need to revisit all personas and ensure you correctly defined them all. Remember that new information is found out along the way and personas are ever-evolving in a process of refinement. It is all right if something arises that was not known before. This is a discovery process, after all. 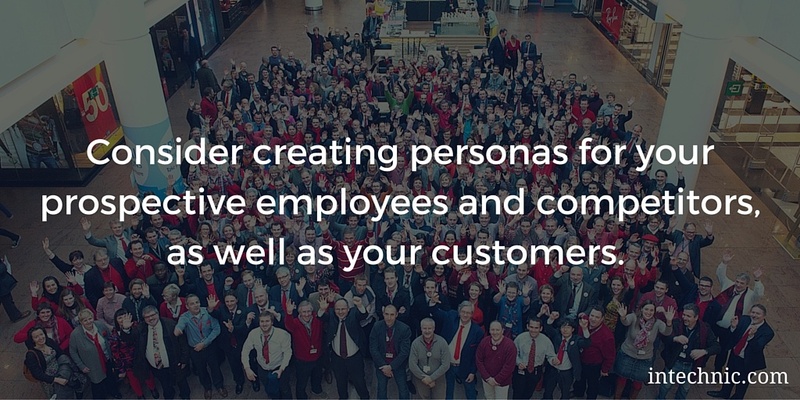 If you haven’t updated your user personas in the past year, you should. Customers, markets and competitors evolve, as do marketing strategies. Naturally, personas will too. Having outdated personas means your strategy could be outdated. Some personas are very detailed, while others are more macro snapshots of users. Utilizing the interview findings worksheet and personas templates will aid you in producing your user personas in a much simpler and more streamlined way. After you create your personas, the next step is to develop a customer journey to better understand how your prospects go through the decision making process.